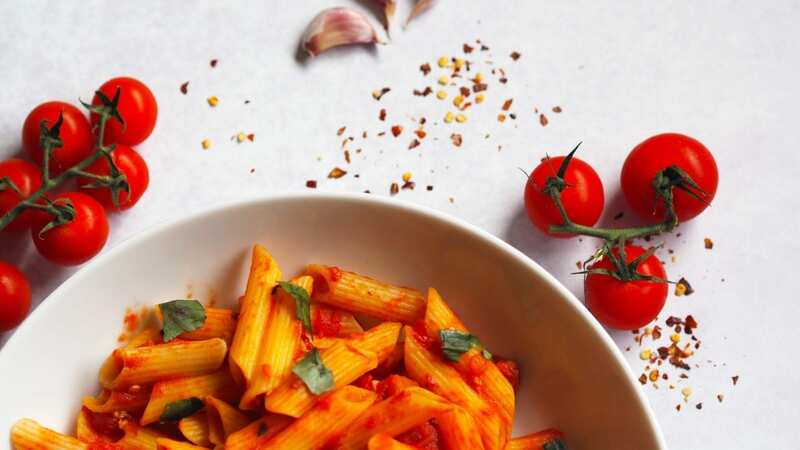 Looking for a pasta dish that is easy to make and full of flavour? 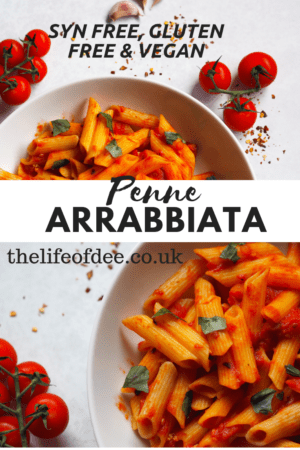 Then this Penne Arrabbiata is the one for you! 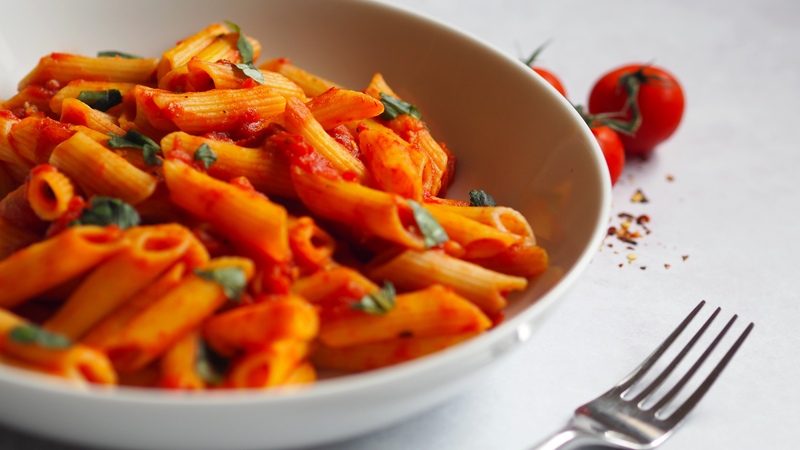 It has a rich tomato sauce with a kick of chilli and is also gluten and dairy free. Also suitable for vegans. Now that I am back to work I am looking for meals that can either be chucked in the slow cooker before I leave the house or are really easy to make once I am home. 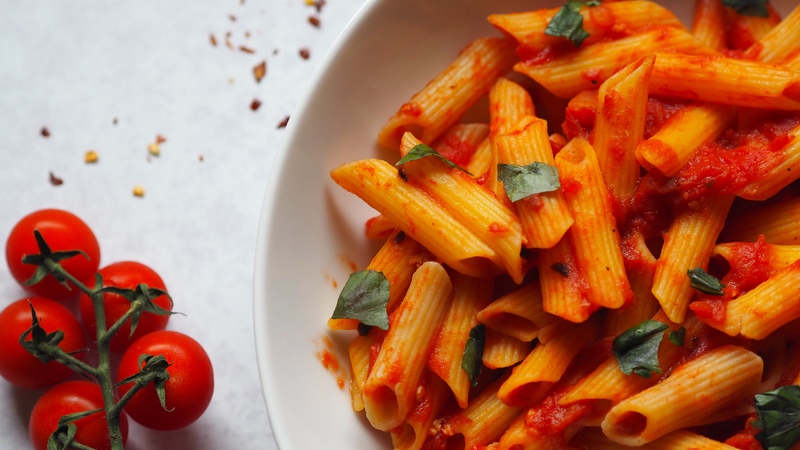 This Penne Arrabbiata is one of those dishes. It is maybe difficult to spell (had to check that I had the correct spelling every single time I typed it) but it tastes really good. If you want you could even add some chicken to it by browning some chunks first or you can leave it without if you are after a meat free meal. 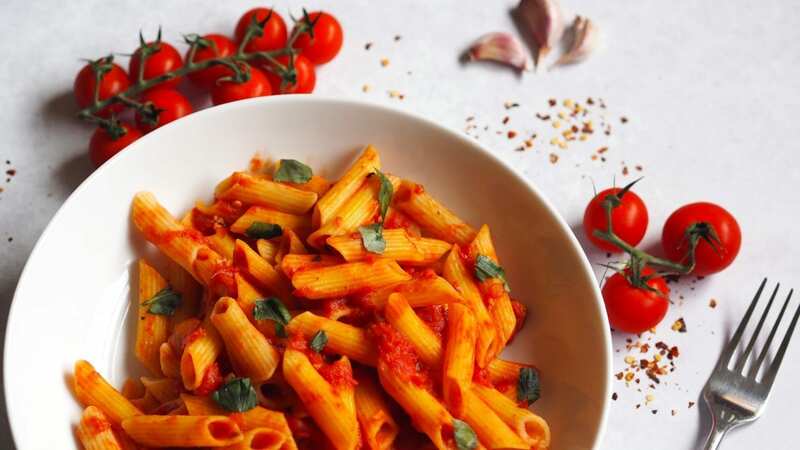 Arrabbiata is a spicy pasta sauce which contains garlic, tomatoes and red chillies. It means ‘angry’ in Italian due to the spiciness of the chillis so depending on your tolerance to spice you can make it either ‘slightly annoyed’ to ‘full on raging’ with as little or as much chilli as you want. If you are on the Slimming World diet then this recipe is Syn Free due to using Frylight. If you aren’t following the diet then feel free to use olive oil instead to fry the garlic and chilli. Add the crushed garlic cloves and fry over a medium heat for a minute while stirring occasionally. Then add the chilli flakes and fry for another minute. Chuck in the chopped tomatoes, tomato puree and season with salt & pepper then let it simmer for 10 minutes. 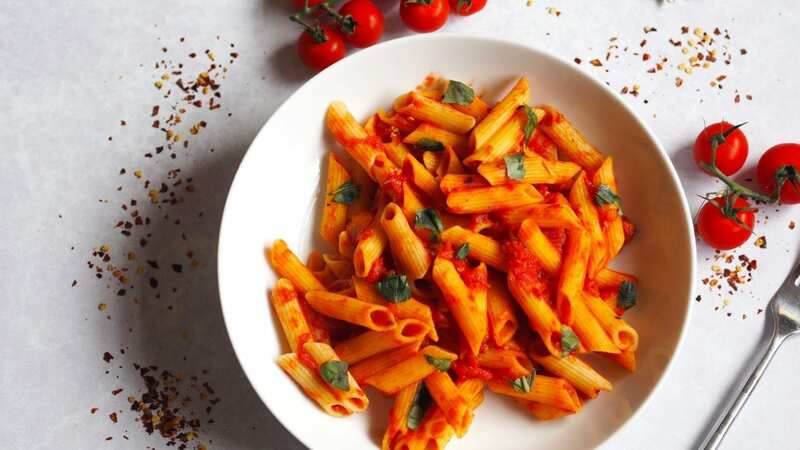 Once the pasta is cooked, drain and transfer cooked pasta to the pan with the sauce. Stir well making sure the pasta is coated with the sauce. Serve with a side salad and some garlic bread. I love the Tesco Free From Garlic Baguette for a gluten and dairy free alternative. 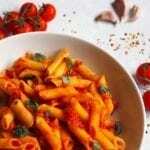 "The Reality of Being A Mum Is……….."
"8 Date Night At Home Ideas"
This looks really tasty. I am back on slimming world so definitely going to make it.